Cut and stick shapes to make pictures and develop motor skills to get ready to write. Join Arty Mouse for picture-making fun. Packed with cutting and sticking activities on every page, children age 3 and up will be excited and rewarded by completing each colourful picture, at the same time developing important motor skills for learning to write. Watch them blossom as their creative skills and confidence grow.With the addition of clear notes for parents, including age-graded outcomes, Sticking ticks the educational boxes as well as the one marked 'fun'! Introducing key early learning concepts through creative activities. 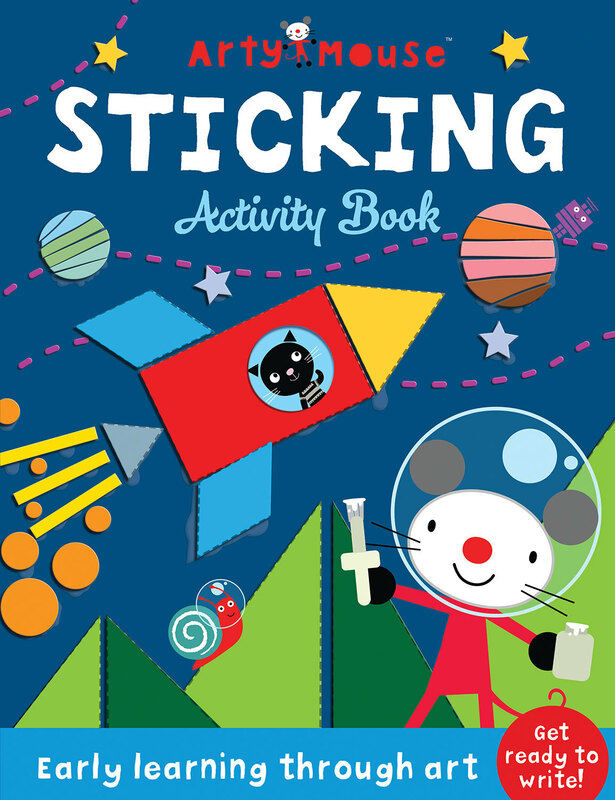 Packed with creative activities to develop important motor skills for learning to write. After studying for BA (Hons) and MA degrees in English and American literature, Oakley Graham has been writing children's books ever since. He has penned over 200 children's books on topics ranging from reference to picture storybooks. A published author in over 60 countries, Oakley has produced work for Penguin, Disney, School Specialty, Scholastic, Barnes & Noble, The Hayward Art Gallery London, Washington Corcoran Gallery of Art and Imagine That, to name but a few. Mandy Stanley is an award-winning illustrator, author and designer who has published more than 200 picture, story and activity books for children. Before discovering her passion for writing and illustrating children's books, Mandy worked in the fashion industry, designing clothes, toys and nursery products. She still uses her 3D design skills, learnt from her fashion training, in the design of her books. Mandy is based in her studio in Suffolk, UK, and as well as working on her books, enjoys running workshops and talks for both primary and secondary schools.